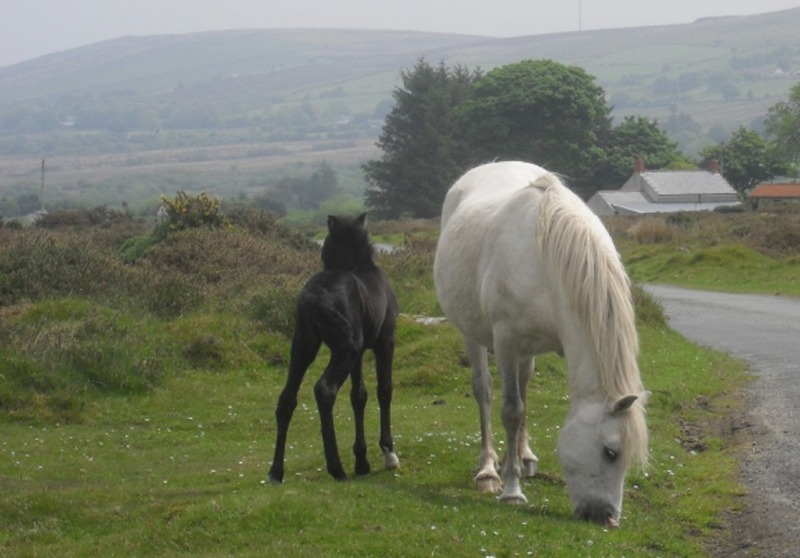 The obvious amenity is the fresh air along the Preseli slopes. You can reach the summit of Foel Cwm Cerwyn along the shortest route within thirty minutes. It will take over three leisurely hours to walk along the ridge from Foel Drygarn to Foel Eryr. Legends and early history are part of the landscape. You will see ancient forts dating back to the Brythonic age and you can imagine the tale of the Twrch Trwyth as mentioned in the Mabinogion. The tales told by Wil Canaan can be reinvented. Enjoy a mid-morning cup of coffee at Tafarn Sinc before venturing forth and return later for a well-deserved meal with a glass of wine. When you leave the M4 and begin to drive leisurely along the winding country roads and are within reach of Tafarn Sinc this is what awaits you. 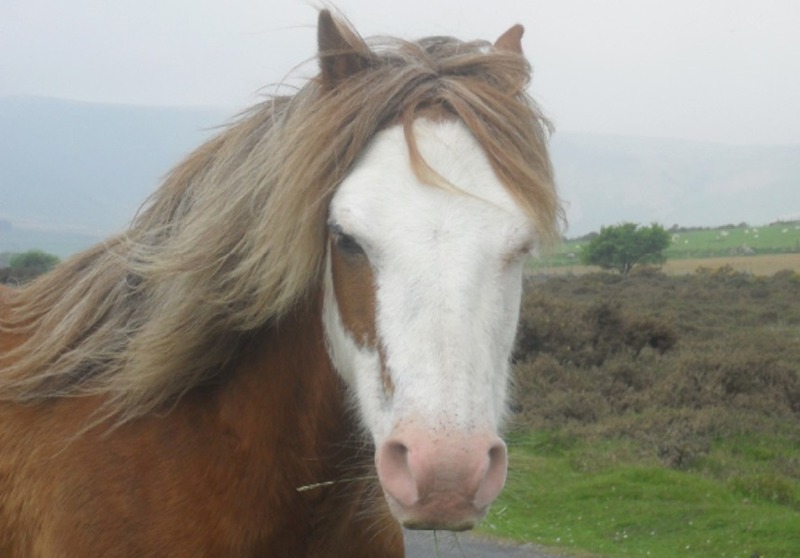 Mountain ponies reminding you to forget all the follies and frustrations of town and city life. 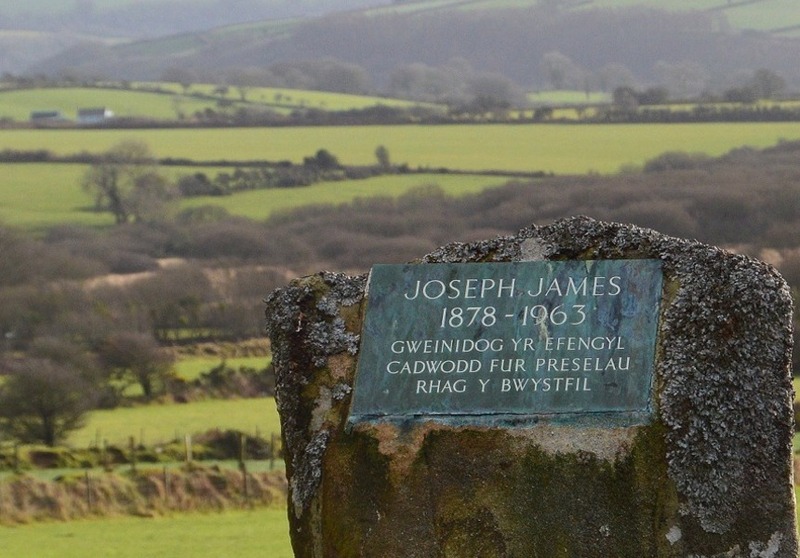 Bro Preseli has much to offer in its sense of history. 'Bro' is a word, just like 'hiraeth' (longing), that is difficult to translate. Those who subscribe to the name Bro Preseli will feel a strong sense of affinity and belonging to the land mass. Within a short walk from Tafarn Sinc, along the road towards Mynachlog-ddu, you will come across this standing stone. The Rev Joseph James along with his close friend, the Rev R. Parri-Roberts, were among those Nonconformist ministers who led the campaign against the proposal to turn the mountain slopes into a permanent military zone in the late 1940s. When both met military generals and were told there was no agricultural merit to the land apart from nurturing sheep they replied ‘we nurture souls in this area’. They saw the battle as one of morals beyond promoting war. 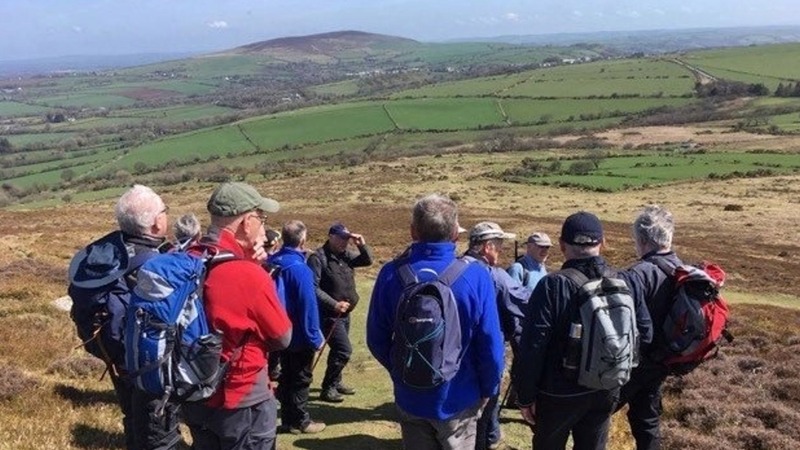 The history of the battle has been chronicled in a booklet entitled Battle of the Preselau The campaign to safeguard the ‘sacred’ Pembrokeshire hills 1946-1948 by Hefin Wyn. Copies are on sale at Tafarn Sinc. 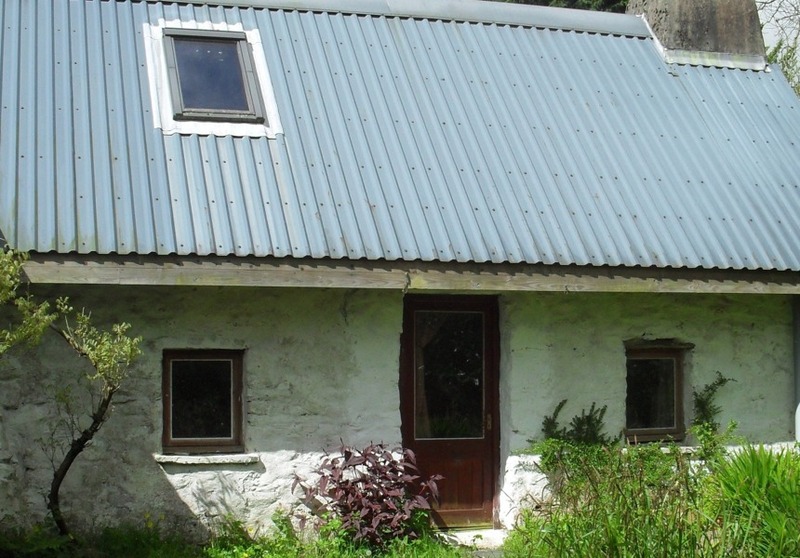 This cottage was originally built in one night. Well, there was some sort of chimney in place by dawn with a wisp of rising smoke. It was given a straw roof and named Carnabwth. This was the home of Thomas Rees, the leader of the local farmers who demolished the Efail-wen turnpike in 1839, which later became known as The Rebecca Riots across South Wales. The author of the standard history of the troubled times, Professor David Williams, was a native of the area. The tradition of erecting standing stones in memory of our heroes continues. 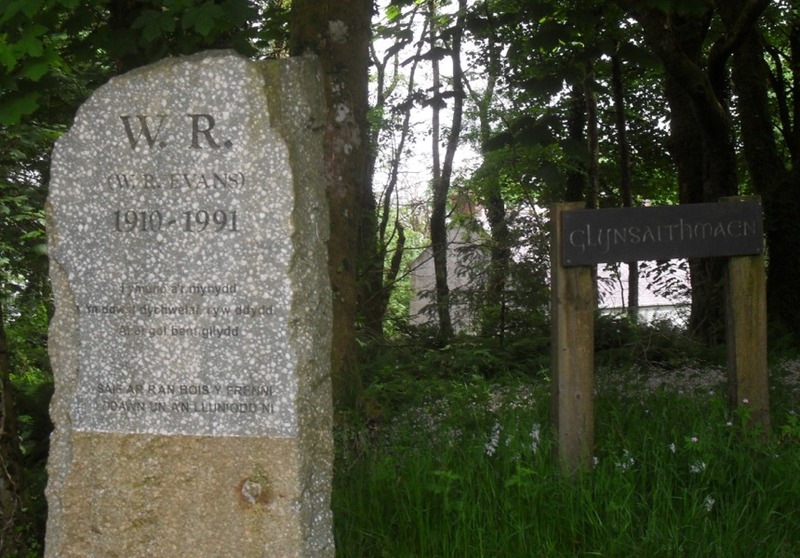 Wil Glynsaithmaen wrote his own epitaph requesting the return of his ashes to the fro. The stone was erected by members of the Bois y Frenni concert group as a tribute. It is a bluestone. The Bois continue to perform restricting themselves to the material provided by W. R. Evans. "Wall of my boyhood, Moel Drigarn, Carn Gyfrwy, Tal Mynydd, In my mind’s independence ever at my back The lines are from a poem entitled `Preseli`, the names those of the ridge’s summits, the homage to the mountain wall of the poet’s childhood and the underpinning of his every independent thought. I’d come here in grateful acknowledgement of his art and political example. At his outstanding best, his verse has a mystical intensity and a calm beauty of vision that are powerfully sustaining and memorable. 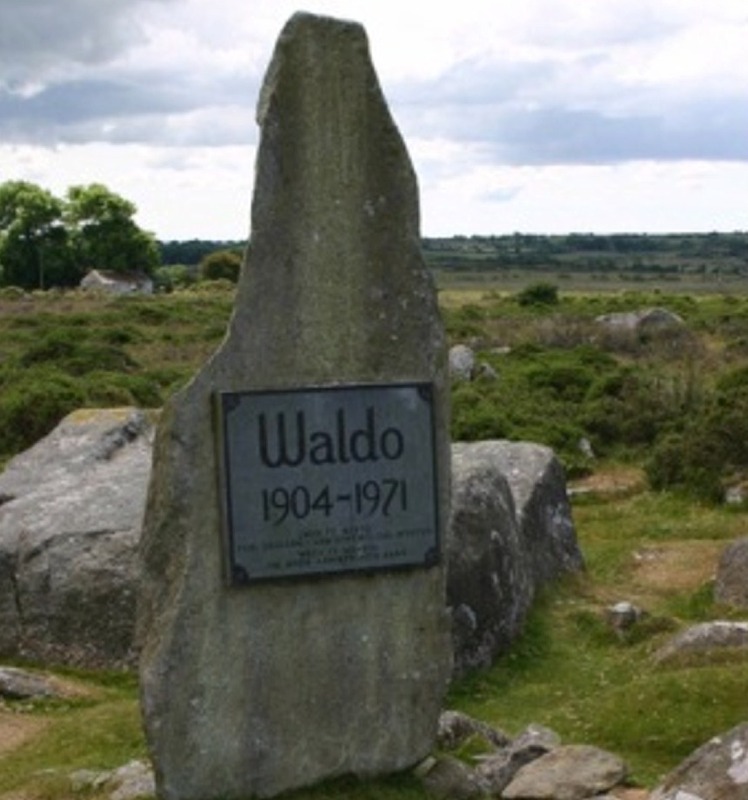 Its musicality is allied so nearly to an amelioristic urgency of meaning that, divorced from his own echoing language, Waldo is virtually untranslatable. If you want fully to appreciate the greatest British mystic of the 20th century, you have no real option but to learn Britain’s oldest surviving language." Though not as active as in the past, regular meetings are still held. 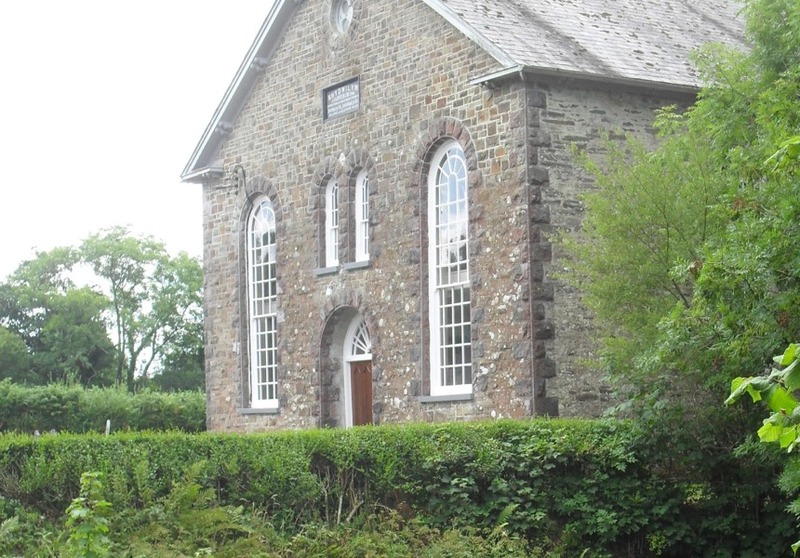 Rhydwilym is among the oldest of Baptist chapels. When the three hundredth anniversary was held in 1968 services were held over three days and a congregation of 500 took communion on the Sunday morning. When the three hundred and fiftieth anniversary was held in 2018 only one service was held. The story of its establishment is full of romance as is the wooded valley itself. It is said that scythers returning from the corn harvest in the vicinity of Olchon Valley and Llanfaches along the Marches led to the breakaway from the Established Church in the locality. The Nonconformist chapel was formed in 1668 with 33 members. A year later the membership had grown to 130 travelling from as many as 40 parishes to take monthly communion at Rhydwilym. And such is the romance associated with the valley itself that no large bus will venture along the narrow lanes to the spot on the banks of the Cleddau river. It is a joy to hear the flow of the river during a service. 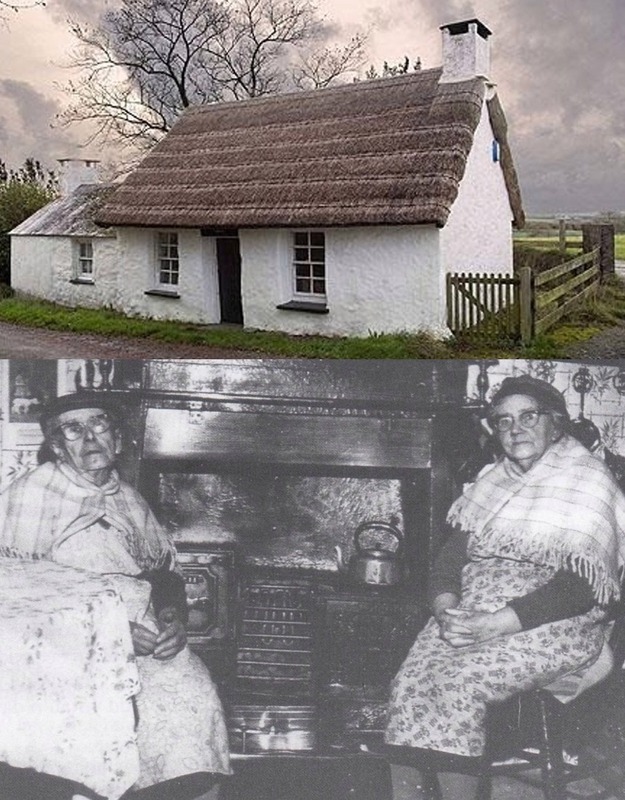 Penrhos cottage in Llan-y-cefn was built overnight on common land. It is said that a dozen people lived under its thatched roof at one time. It is a museum today kept by Pembrokeshire County Council. The older generation remember the two notable sisters who lived there – Rachel and Maria – who always welcomed whomever walked past. The kettle would always be on the boil.